The kind of care that women or couples receive from their GP, hospital or community staff can make a real difference to how they cope with the experience of pregnancy loss. Everyone wants good medical care, based on up-to-date knowledge of miscarriage, ectopic or molar pregnancy. But the human aspects of care are also very important. 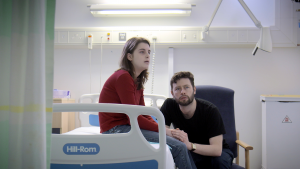 Kindness, understanding, clear information and sensitive language are just some of the ways that doctors, nurses, midwives and sonographers can help people cope with their experience, as you can see from our free learning resources. Most health professionals work hard to provide good and sensitive care – and many of them will have been through pregnancy loss themselves. We work to support those doing good work and to encourage others to adopt better practice. The NICE guidance on the diagnosis and management of early pregnancy loss stresses the need for health professionals to be trained in providing supportive and sensitive care, breaking bad news and giving clear information. But limited NHS training budgets, staff time and cover mean that it is increasingly difficult for staff to access training, whether on or off site. Our online learning resources aim to fill some of those gaps and we are very grateful to all those who have contributed to them. We also offer advice and consultancy, in confidence, to individual practitioners, departments and Trusts. Common concerns are management methods, disposal of fetal remains, patient information, terminology and patient pathways. Please contact us if you think we may be able to help.